Ritalin, also known by its generic name methylphenidate, is a prescription medication used to treat attention-deficit hyperactivity disorder (ADHD) and narcolepsy in adults and children. 1 Some people abuse Ritalin and find themselves craving the drug, which can make it difficult to quit. Ritalin cravings can lead to relapse if not dealt with properly. Cravings for Ritalin are common when trying to quit due to the drug’s effect on the neurotransmitter dopamine in the brain. Treatments and tools are available to help manage Ritalin cravings, including cognitive behavioral therapy, mindfulness and meditation. Signs of a relapse often begin long before a person picks up the drug. Be aware of your triggers and engage in preventative measures. Who Answers? to learn more about Ritalin addiction recovery programs in your area. Treatment support specialists are available 24 hours a day, 7 days a week. Ritalin is an amphetamine-like drug that belongs to a broad class of drugs called stimulants. The stimulant category encompasses drugs that are predominantly abused illicitly – like cocaine and methamphetamine – as well as other prescription medications such as Adderall. Some cases of Ritalin addiction take hold after a legitimately treated person starts taking more than the prescribed dose. As the stimulant addiction progresses, these people may need to illegally obtain the drug from street dealers to maintain their habits. Ritalin cravings may begin once a person stops using the drug and begins the withdrawal process. 3 Cravings are strong urges to use a drug, even when a person recognizes that the drug causes problems. Cravings can be both physical and psychological. Some users may experience cravings within hours of the last dose, while others may not experience cravings for several days. Ritalin cravings may last for up to 3 to 4 weeks depending on how much was being used, the frequency of use and the dose. Feeling a loss of control over drug use. Loss of pleasure in things that were once enjoyable. Some of the psychological changes associated with Ritalin withdrawal and cravings – such as depression – should be taken seriously. In some cases, depression may lead to suicidal thoughts. If you experience suicidal thoughts, it is recommended that you reach out to a professional or call 911 immediately. Cravings may arise as a consequence of Ritalin’s chemical influence on certain neurotransmitter systems in the brain. 1 Amphetamines such as Ritalin increase the chemical dopamine, which plays a role in mediating our senses of pleasure and reward, and in staying alert and maintaining concentration. When Ritalin is abused and taken in large amounts, the user experiences a surge of dopamine, which causes a feeling of euphoria or “high.” Over time, Ritalin users become addicted to the dopamine surge, and they begin to crave more of the drug. Long-term use of amphetamines can affect how the brain produces dopamine. It may take a period of time for the brain to return to normal. During this time, many users experience strong cravings as the brain chemically readjusts to the absence of the drug. Cravings for Ritalin can be distressing and difficult not to give in to, especially when a user is first trying to quit. Often, working with a professional can help people manage their cravings without relapsing on Ritalin. Self-monitoring – This technique involves developing a list of triggers for using, such as certain people, places or things. This increases your awareness of what causes cravings and allows you to develop a relapse prevention plan. Brainstorming – This includes finding ways either to avoid triggers or to cope with them when they can’t be avoided. Coping skills can involve having a sober partner accompany you to a situation likely to trigger cravings, or engaging in healthy distractions, such as reading a book, watching television or going on a walk. Self-talk – People with cravings also experience automatic thoughts such as “cravings are unbearable” or “the only way to feel better is to use.” While cravings can be distressing and uncomfortable, the belief that cravings are unbearable is irrational. Recognizing these distorted thoughts and rationally challenging them can promote positive self-talk and the belief that cravings are normal and can be overcome. Traditional meditation involves finding a quiet place, getting comfortable and focusing on your breath. The goal of meditation is to let go of your thoughts and become aware of the present moment. 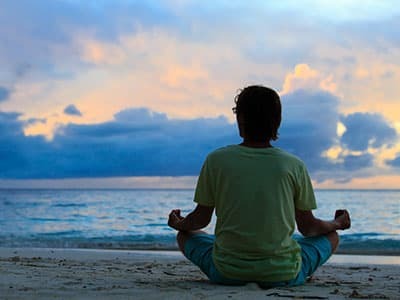 Start by practicing meditation for a few minutes a day to increase relaxation and then gradually increase the amount of time you spend meditating. “Urge surfing” is a mindfulness practice where you imagine urges to use Ritalin to be like waves. The peak of the wave, or urge, is the most intense. But if you sit with the urge, it will dissipate. The goal of urge surfing is to ride the urges like waves, rather than giving in to them and experiencing even more urges later on. The more you practice urge surfing, the less intense urges will become over time. Delay – This involves actively distracting yourself from the craving for 10 to 15 minutes. Engage in another activity such as watching television, calling a friend or exercising. If the craving is still there after 15 minutes, then it is possible that you are still being exposed to the trigger. Re-evaluate the situation and see if you can avoid a trigger that may still be present. Escape – If possible, leave the situation that is causing the craving and go somewhere else. Call a sponsor or a member of your support group for assistance. Accept – Remember that cravings are normal. Some people actually intensify their cravings by resisting them. Instead, choose to accept that they are a part of the recovery process and create a plan to manage them. Dispute – This involves challenging the belief that feeds the cravings. Ask yourself what thoughts might be contributing to or increasing your cravings. Then take a step back and think about whether your beliefs are rational. A close friend or family member can help you challenge your thoughts and offer a different perspective. Substitute – Trade the craving for another activity or hobby. Make a list of different activities that you can engage in before the craving starts and reference it when needed. Deep breathing – When you become stressed, one of the first bodily responses is shallow breathing. This can further increase panic, making anxiety much worse. Practice taking a three-second-long inhale, followed by holding the breath briefly and then exhaling for three seconds. Continue for several minutes until your breathing is relaxed. This exercise is especially helpful before bed for promoting better sleep. Positive self-talk and affirmations – When feeling stressed, it is common to think negatively about yourself, others and the world. These thoughts are often unrealistic and distorted since they are fueled by your emotions rather than logic. Create a list of positive self-statements to carry with you. Practicing gratitude during difficult times can also refocus your mind away from negativity. Exercise – Working out can help reduce the anxiety associated with cravings. Aim for at least 30 minutes a day to start. Exercise can include walking, running, biking, weight training, yoga and Pilates. Healthy diet – Poor nutrition is linked to mood and sleep problems. Eating a diet rich in fruits, vegetables, protein and complex carbohydrates can provide the proper vitamins and minerals needed. Be sure to avoid caffeine and sugar in the afternoon and evening hours to improve sleep. Who Answers? today. A recovery support specialist can verify your insurance coverage over the phone. Inpatient treatment offers group, individual and family therapy for several hours a day. During inpatient treatment, you reside at the treatment facility for the duration of your stay. Outpatient treatment offers group, individual and family therapy for a few days per week. You are able to return home after attending the day’s therapy sessions. Outpatient treatment also allows time to work or to go to school. Individual therapy is one-on-one support from a mental health professional who specializes in addiction. Most people attend individual therapy one to two times per week. Group therapy is done in a group setting with typically 5 to 15 clients and one to two therapists. One of the benefits of group therapy is the additional support and feedback of other clients. Self-help groups do not offer professional treatment. They are free support meetings for people struggling with addiction issues. The most popular self-help groups are Alcoholics Anonymous, Narcotics Anonymous and SMART Recovery. Modafinil is a drug used to treat narcolepsy and other sleep disorders. Some studies have found that it is helpful for decreasing cravings for stimulants such as Ritalin. Mirtazapine, also known by the brand name Remeron, has reduced some of the physical and psychological withdrawal symptoms from stimulants. Participating in hobbies, such as reading, writing, playing sports and having fun outdoors, can serve as a distraction from thoughts and negative feelings that can trigger a craving. A healthy diet can help undo some of the physical damages done during addiction. Abusing stimulants such as Ritalin can lead to weight loss, electrolyte imbalances and dehydration. 7 Consuming adequate water, complex carbohydrates and foods filled with vitamins, minerals and fiber can help restore the body back to its natural rhythm. Exercise releases endorphins in the body, which can help decrease the depression and anxiety associated with cravings. Practicing mindfulness and meditation exercises can naturally reduce cravings, provide a healthy distraction from negative thoughts and increase confidence that you can manage difficult situations. Start with a few minutes per day and gradually increase. Reaching out for support and avoiding triggers can help prevent a relapse. Associating with friends who also use drugs, which can increase the urge to use drugs and make it easier to access them. No longer attending recovery meetings, or failing to fulfill obligations at meetings, such as setting up before the meeting starts or making coffee. Missing therapy sessions or failing to complete treatment. Isolating from loved ones or having conflict with family or friends. Relationship stress is a common trigger for relapse. Working through conflict, rather than avoiding or isolating, is a healthier strategy. Feeling depressed, anxious or irritable. Many people experience these symptoms after initially quitting drugs, but people may be at a higher risk of relapse when their negative feelings linger. Going through major life events, such as the death of a loved one, a job change or moving to a new area, can bring about additional stress that may increase cravings. Recognizing the signs of a relapse. Being aware of the signs listed above and other personal situations and events that could trigger a relapse is the first step in relapse prevention. Avoiding situations with triggers. These include social settings with drugs, dealers and other people who are actively using drugs. Reaching out to sober support, such as friends from recovery meetings or a sponsor. This is especially important when cravings escalate. Following up with your aftercare plan. During stressful times, it is common to want to avoid responsibilities, such as attending therapy sessions. But it is helpful to stick to your aftercare plan during this time. If you are struggling with Ritalin addiction and would like assistance finding a treatment center, please call our helpline at 1-888-319-2606 Who Answers? . A rehab support specialist can verify your insurance coverage over the phone. If you don’t have insurance, please call the Substance Abuse and Mental Health Services Administration’s (SAMHSA) helpline at 1-800-662-HELP (4357).
. National Institute on Drug Abuse. (2014). DrugFacts: Stimulant ADHD medications: Methylphenidate and amphetamines.
. National Institute on Drug Abuse. (2015). Prescription drugs and cold medicines.
. Witkiewitz, K., Marlatt, G. A., & Walker, D. (2005). Mindfulness-based relapse prevention for alcohol and substance use disorders. Journal of Cognitive Psychotherapy, 19(3), 211-228.
. Hardin, R., & Steinberger, H. (2014). Smart recovery handbook (3rd ed.). Alcohol & Drug Abuse Self-Help Network.
. U.S. National Library of Medicine. (2014). MedlinePlus, Diet and substance use recovery.